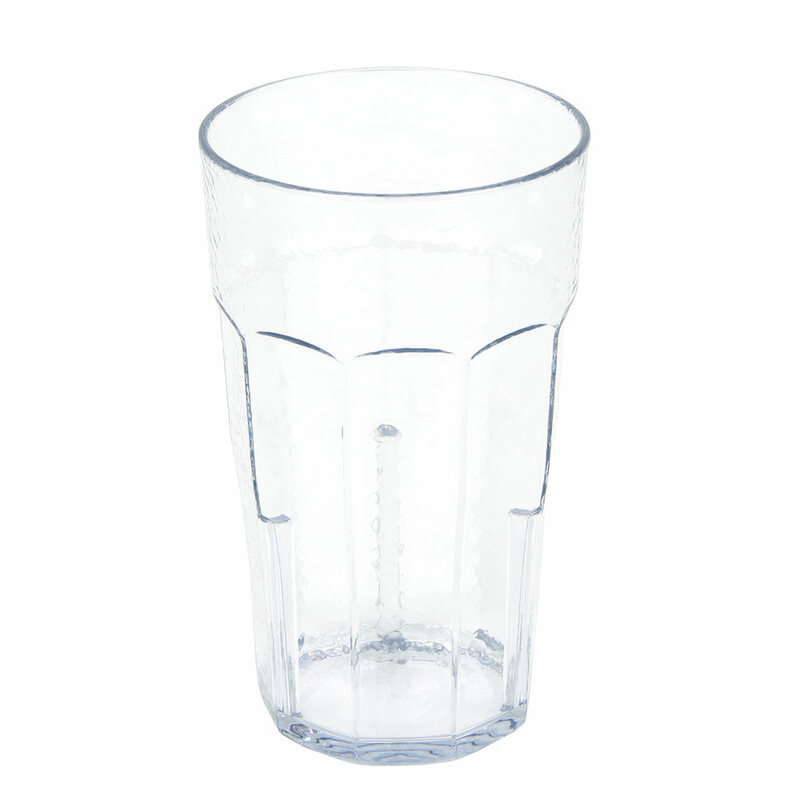 The Cambro LT22152 Laguna® tumbler looks and feels like glass, but it will not easily chip or break since it is made of SAN plastic. 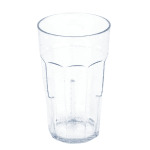 This clear tumbler enables servers to easily see when refills are needed, and it has a hammered texture that can help hide water spots and scratches. With this texture, the Cambro LT22152 Laguna tumbler also catches light to highlight the drinks it holds. It has a 22-ounce capacity when the liquid is poured to the rim. "Discovered these glasses when having lunch at a local family-owned restaurant. We liked them so much that I took down the manufacturer and style..."
"I love these glasses. They look very nice, hold up well in the dishwasher and hold plenty of liquids." "I love these tumblers, great size, perfect for use at home with young children and elderly. They look very attractive." "Discovered these glasses when having lunch at a local family-owned restaurant. We liked them so much that I took down the manufacturer and style number from the bottom of my glass! KaTom had the best price...much better than anywhere else. Shipping was fast and all items arrived intact. So far, they are holding up extremely well - both in use and in the dishwasher. Very pleased with the glasses and the transaction."